The second day of the 15th Ebertfest ended just a short while ago and the day was filled with beautiful films, each in their own right. For starters, we had a short film To Music, which was co-written and directed by Sophie Kohn, the festival director’s daughter. If this was any other festival, its inclusion could easily be viewed as playing favorites, but To Music shined incredibly bright. Featuring a cameo by director Paul Cox, To Music captures the beauty of life as well as music. As with yesterday’s short feature, I look forward to seeing more from these promising young filmmakers. Next, from cameo to the director’s chair, came Paul Cox’s Vincent: The Life and Death of Vincent Van Gogh. This film was not quite what I expected. After last year’s introduction to Paul Cox with On Borrowed Time, this was my first true introduction to Cox as a filmmaker. 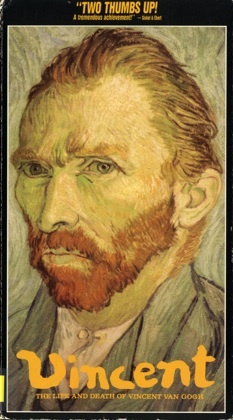 Vincent was not quite what I expected in that I thought it would be a documentary following Van Gogh’s highs and lows, but I should have known better. Narrated by John Hurt through letter’s to Vincent’s brother, Theodore, the entire film consists of stills of Van Gogh’s sketches, drawings, and paintings, with some live action reenactments and scenery. While it was strikingly beautiful, I almost wish I could have read the entire script with the aid of closed captions so I could doubly appreciate the finer details being read. Still, the film was beautiful and while everyone in the audience seemed to expect some of Van Gogh’s more famous paintings to be displayed, they were not. Sorry “Starry Night” fans, but the painting is nowhere to be seen in Vincent, but honestly, the film may be better because of this. It completely humanizes Van Gogh, not just as an artist. Unfortunately, Paul Cox was not able to make it to the festival since his doctor would not let him fly, it would have been quite interesting to hear about the film from his perspective. Sophie Kohn and her filmmaking partner, Feike Santbergen, were on hand, however, which was quite pleasant. You can find the session in the link to the archive at the end of this post. After running a bit late to get started, we were finally graced with In the Family, another film by a first-time filmmaker, Patrick Wang. In the Family is a startlingly frank look at some topics that, if handled in an indelicate fashion, would be controversial. 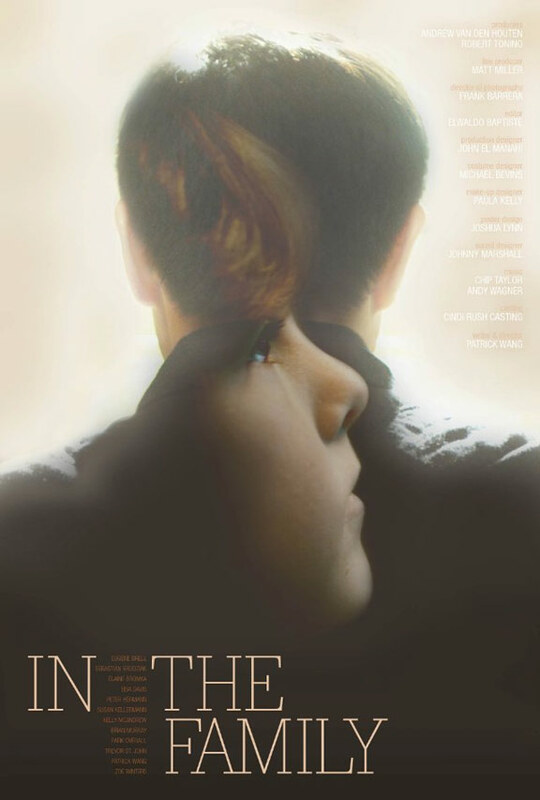 A young man, Cody (Trevor St. John), loses his wife in childbirth to their son, Chip (Sebastian Banes née Brodziak). He falls for a contractor working for them named Joey (Patrick Wang) and together they raise Chip. Several years later, Cody dies in an accident and unbeknownst to Joey, Cody’s sister was named Chip’s legal guardian. Joey is faced against the law and the not-so-understanding nature of their small Southern town to fight for his son. The film is incredibly moving but also surprisingly funny at times. Films with this much heart are rare enough, but films with this much heart that are not patronizing or manipulative are downright endangered. Race and homosexuality are at the forefront of In the Family and yet neither topic is addressed directly, which is simply amazing to me. Also amazing are some of the long takes in this film, which place the viewer in the story and makes us feel like we are a part of Joey’s life. I had never heard of this film before its announcement at Ebertfest but I urge everyone to keep it on your radar. I daresay there was not a dry eye in the house by the end. Patrick and Trevor were available for the q&a session afterward, which is definitely worth checking out in the link to the archive at the end of this post. To cap off the second day, the wonderful film Bernie was presented. When I first watched Bernie, I was hugely surprised by it and was looking forward to seeing it on the big screen with a crowd. I have to admit that I liked it even better a second time through. 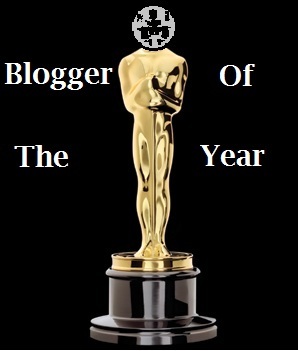 Check out the above link for my initial thoughts on the film. The experience was made even better by having writer/director, Richard Linklater, in attendance. Jack Black, the star of the film, was also supposed to attend but was unable to make it in person and had to join via phone. I strongly urge you to check out Bernie, but also to watch the session with Linklater and Black in the link to the archives below. It was very illuminating into the process of the film and the real Bernie Teide. Though it was a rainy day here in Champaign, that didn’t stop the crowd from enjoying these great cinematic gifts given to us by Roger. It was a fantastic day filled with terrific movies. Bernie is based on the true events involving the murder of a wealthy elderly woman by a charming mortician in Texas. Bernie Tiede (Jack Black) is a mortician’s assistant that moves to Carthage, Texas from Louisiana and quickly charms the town with his kind nature. He befriends a wealthy widow, Marjorie Nugent (Shirley MacLaine), after the death of her husband. Marjorie is almost universally disliked in town, but she and Bernie almost become inseparable. As Marjorie becomes increasingly possessive over Bernie, he winds up shooting her and hiding her body in a freezer, while lying to the townspeople that Marjorie was simply away. When Nugent’s stock broker and family continue pressing, the truth is revealed, but Bernie has wooed the town to the point where no one seems to fault him for the murder. One pet peeve that I have about movies that are supposedly “based on true events” is they are written so that everything falls neatly into place and the believability is usually stripped down. While Bernie does fall into this trap a bit, what makes the film different is the use interviews with actual townsfolk as well as actors. The bulk of Bernie essentially becomes a dramatized reenactment, sort of like Rescue 911, and the interviews help progress the story and also give insight to the events being reenacted. On paper, it sounds weird and maybe even disjointed, but in action I found it to work quite well. 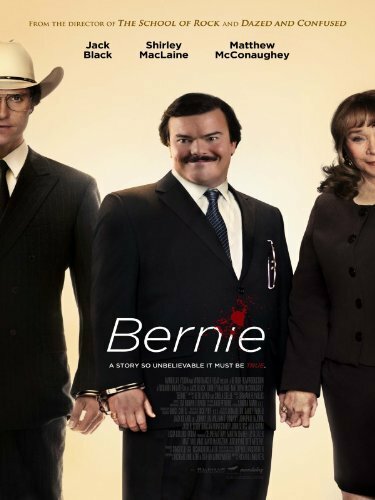 One thing that works surprisingly wel in Bernie is Jack Black as the titular character. I’m always cautious when comedic actors take on dramatic roles but I am usually surprised by their performances (e.g. Jim Carrey in Eternal Sunshine of the Spotless Mind). Black is actually remarkable and restrained here and I am having a hard time imagining anyone else in the role. The Carthage residents interviewed are also professional sounding and without knowing where the actors start and the non-actors begin, it would be easy to confuse some of them as characters rather than real people. One fault of Bernie may actually be that the real people are almost too goofy considering the film is about a murder, but I was never bothered by it. We are meant to like Bernie just as Carthage did and we can form our own opinions of the depth of Bernie’s guilt. The amount of good that a man does isn’t necessarily wiped out just because he was pushed past his breaking point, but that is usually how the justice system works. The town of Carthage wanted to side with Bernie and by the end of the film, Bernie, and so did I.
I give it 4 real life Bernie Tiedes out of 5.